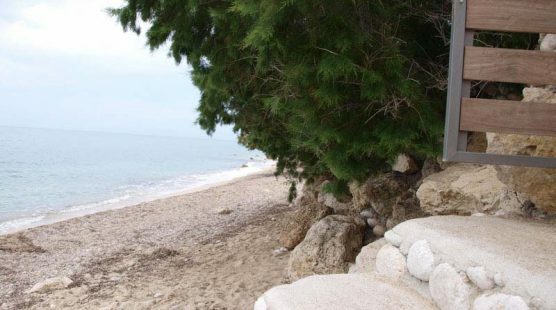 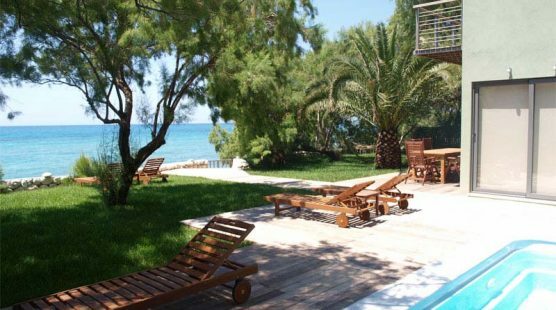 With its privileged location, direct on the beach with its own private access, this villa will undoubtedly appeal to everyone seeking stunning views ,high levels of privacy and long leisurely strolls along a beautiful beachside promenade. 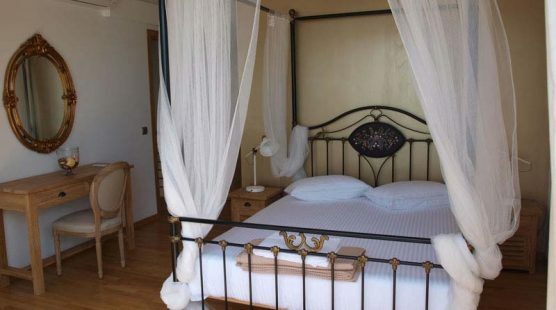 Not to mention the convenience of being walking distance from Agios Nikitas village. 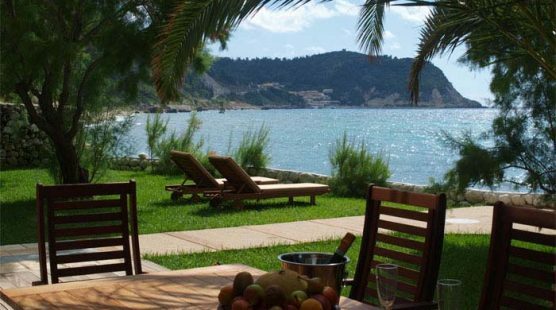 The spectacular scenery and natural beauty of the villa make it the most exclusive property on the island. 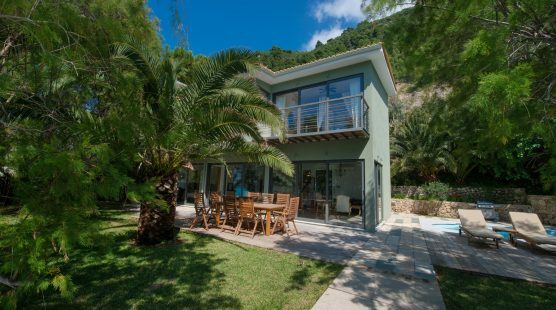 The house itself is just 10m from the water’s edge and is discretely hidden by mature trees and glorious wildflowers ensuring that guests have privacy whilst still enjoying the superb views across the water whether from the easy armchairs on the terrace or one of the sunbeds on the decking of the swimming pool. 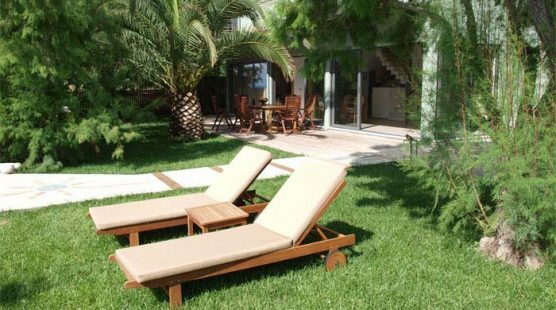 The villa is ideal for both families and couples. 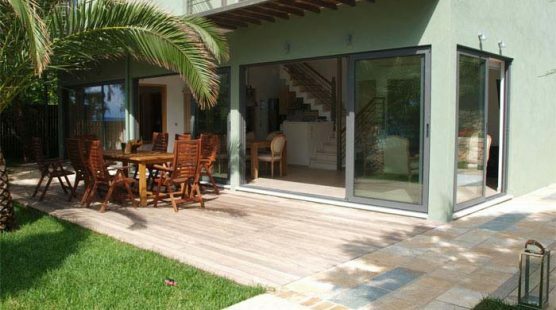 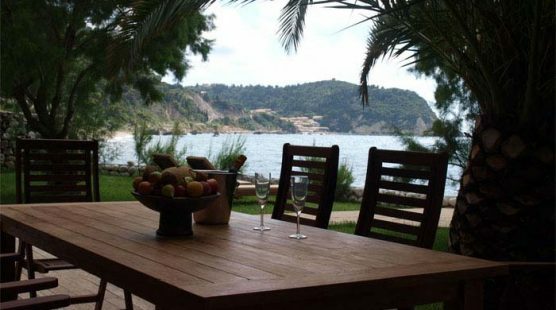 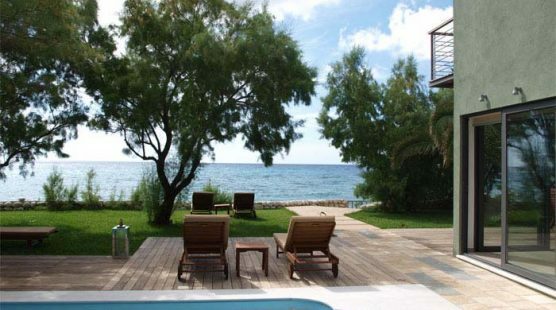 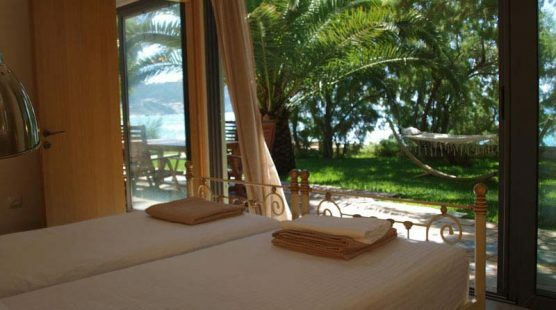 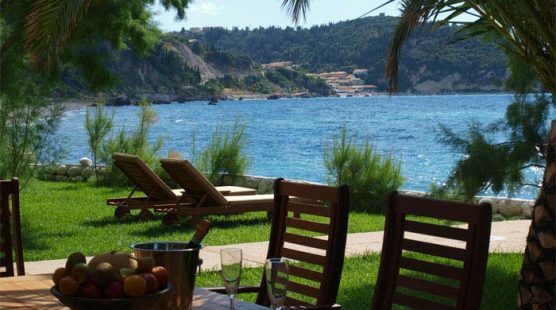 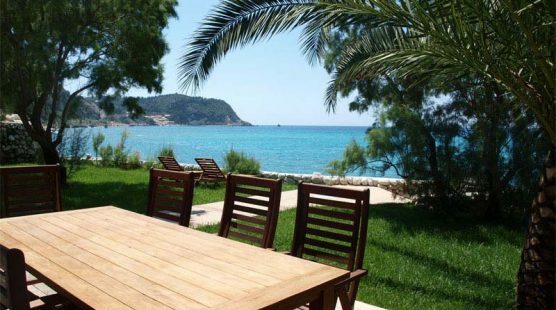 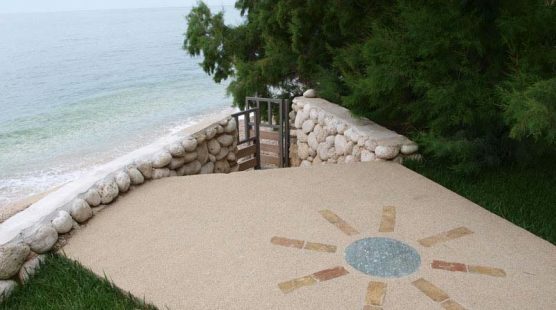 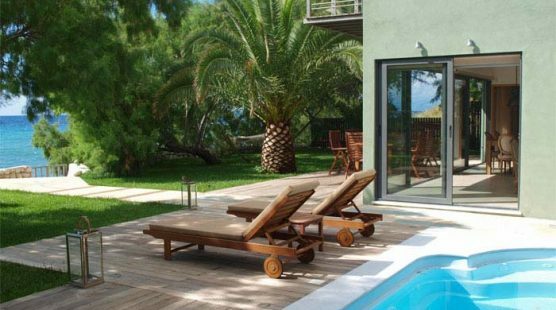 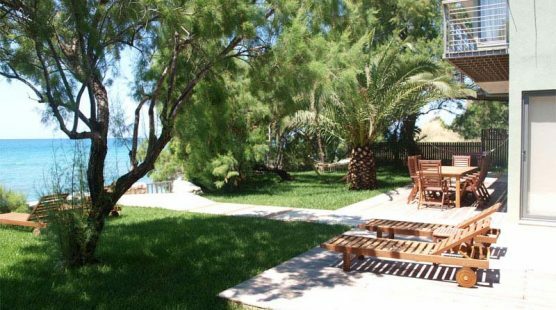 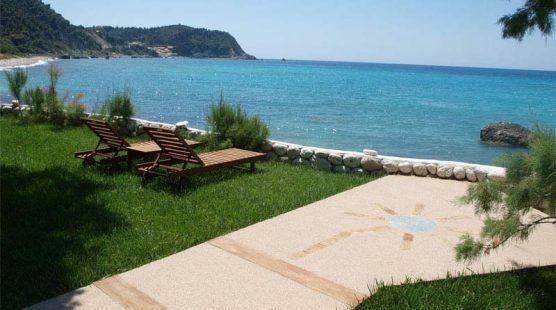 Visit this villa for an unforgettably luxurious holiday on the undiscovered island of Lefkada. 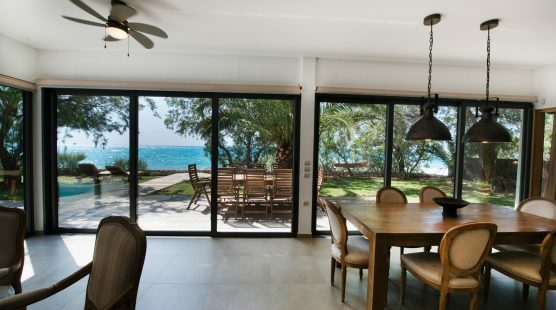 With is contemporary interior and highly practical and generously proportioned exterior space ,this beachfront villa is aesthetically pleasing to the eye from whatever angle you favour your holiday choice from. 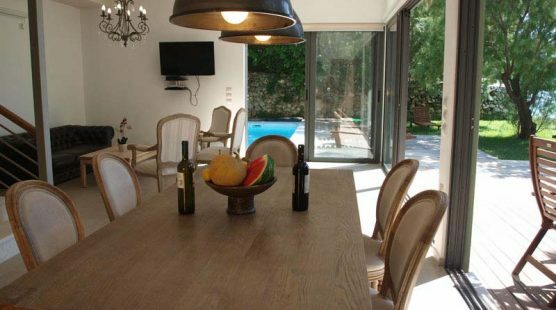 It has been carefully designed as a spacious and comfortable holiday home leaving guests feeling refreshed by its bright and airy design. 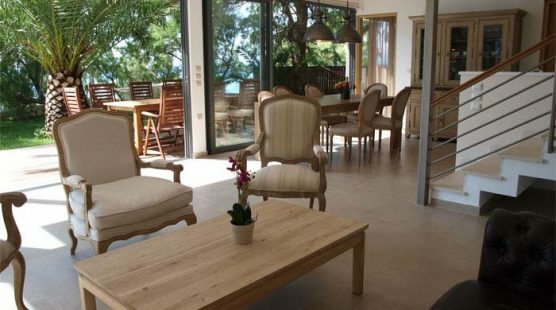 The ground floor has the most wonderful garden and sea views through large glass windows. 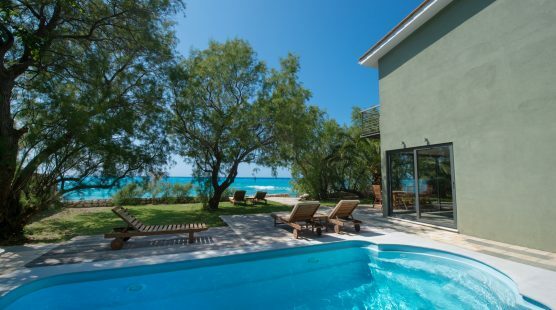 The first thing you notice when you enter this fantastic home is the spacious living room decorated with high quality furniture and large glass windows around that allow you to enjoy the infinite blue of the sea and the beauty of the Greek sky. 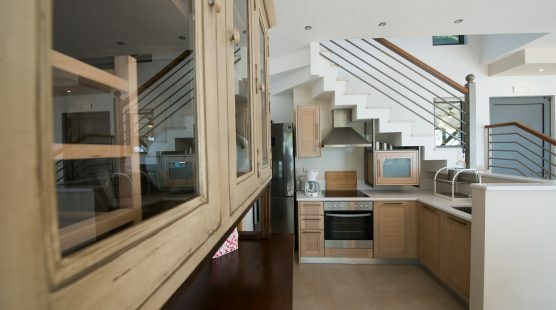 On the ground floor there is a modern kitchen which leads directly off the dining area and is fully equipped with everything a comfortable home needs. 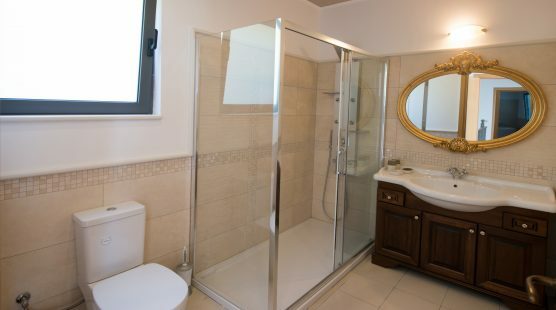 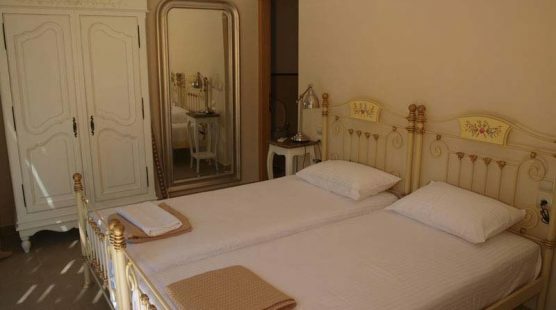 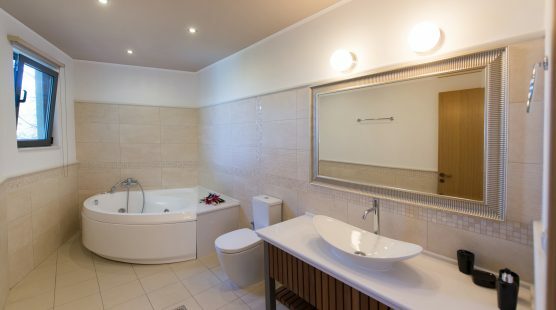 There is also a double bedroom with its own en-suite bathroom. 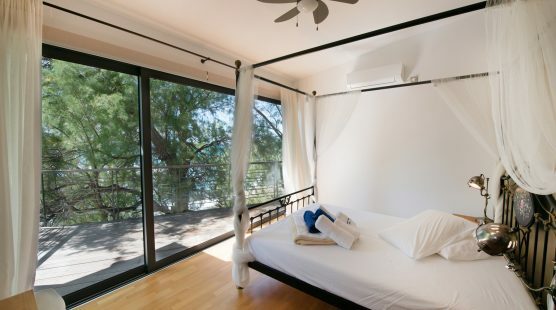 Upstairs find three further king size modern bedrooms from which you can enjoy the sea view. 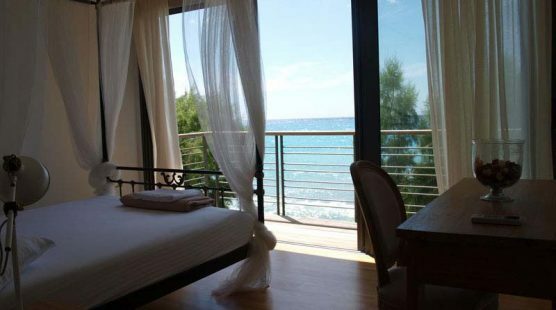 The bed positioning and room layout allows you to take in views of the Mediterranean and a beautiful sunsets from where ever you are. 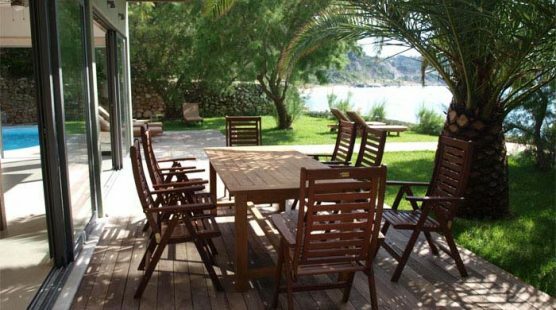 A large balcony helps you to enjoy the amazing melody of the waves and at night the illuminated coastline from Agios Nikitas village stretching like a painting in front of you. 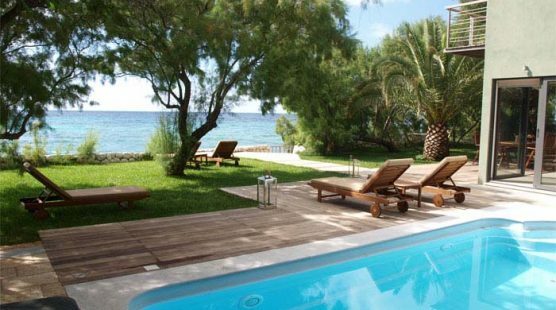 The lighted pool and garden completes the picture of absolute tranquillity. 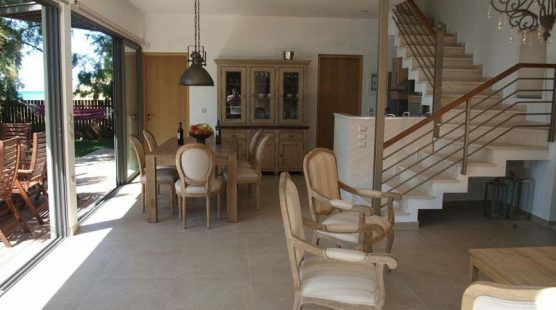 Inside the villa compliments a fully equipped kitchen area, including oven, fridge-freezer, dishwasher, kettle, coffee-maker, and all kitchen utensils, so you can enjoy cooking with a view, along with washing machine, Wi-Fi, bed linen, bath and pool towels and many additional features to complete your holiday experience. 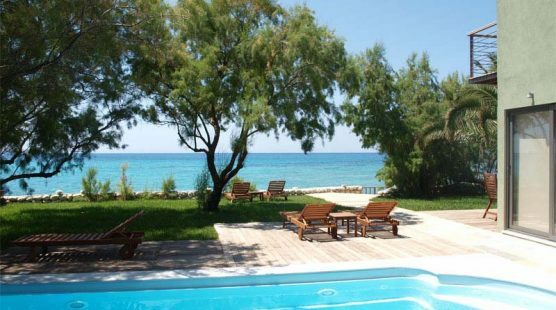 The swimming pool is set just 10m from the water’s edge, swimming will be a wonderful mix of the lush green of the garden and the brilliant blue of the Mediterranean. 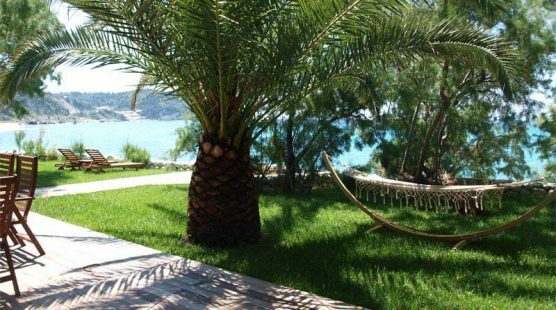 The pool area is equipped with sun umbrellas, sun loungers, outdoor shower and gas BBQ. 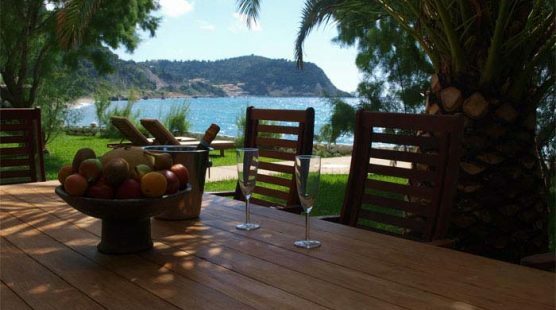 Guests will spend long lazy afternoons lying in the sun, enjoying a refreshing drink and taking in the gorgeous view across the sea to Agios Nikitas village.